Courtney Cusentino (left) was critically injured in 2015. Chicago Police Officer Erin Mowry (right) is charged with aggravated DUI. COOK COUNTY CRIMINAL COURTHOUSE — A Chicago Police officer charged with driving drunk and critically wounding a woman in 2015 could avoid prison time if he takes a plea deal presented Thursday. And that's exactly what the victim's family wants. "When people get to [prison], they look at four walls, they do their time and they're done," said Kathy Kean, whose 20-year-old daughter suffered a traumatic brain injury after being hit by Officer Erin Mowry's car in 2015. "I feel that if he were to live a little bit of the life that we've had to lead and to see what happens in the aftermath of an accident," Kean said, "that would be something significant." Through an attorney, Kean and her family have asked Cook County Judge Timothy Joyce to consider a sentence of community service in Mowry's case, requiring the officer to work with people with brain injuries. "The fact that they desire this speaks volumes about them," Joyce said Thursday. Other families "might want an appreciably greater pound of flesh." Should Mowry plead guilty to aggravated DUI causing bodily harm, Joyce said he is willing to sentence Mowry to 2½ years of probation, 480 hours of community service and six months in the Cook County Jail. Mowry, now 42, was previously placed on an electronic-monitoring bracelet by the Cook County Sheriff's Office for 10 months while awaiting trial in this case. It was not clear Thursday whether that time would count toward a six-month sentence, essentially rendering it moot. Mowry did not decide whether to take the plea deal Thursday. His next court date is Dec. 1. 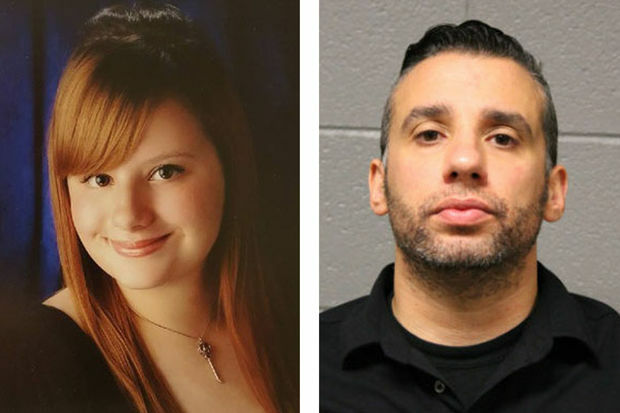 Kean's daughter, Courtney Cusentino, had just gotten off a CTA bus and was crossing the street in a crosswalk about 1:20 a.m. July 18, 2015, when Mowry's Mercedes whipped around the bus and slammed into Cusentino — sending her flying through the air, prosecutors said. Cusentino, who landed on her head, suffered brain bleeding and was placed in an induced coma with a "very poor" prognosis. Today, after years of therapy, the aspiring cosmetologist can walk with assistance. She has weakness in her left side, limited use of her left hand and one paralyzed vocal cord that makes it impossible for her to speak loudly or yell, her mother said; Cusentino will need "a lifetime of rehabilitation." A blood draw taken 4½ hours after the crash revealed Mowry's blood-alcohol content to be 0.092, which is above the legal driving limit of 0.08. Kean said she's "past the point of anger and hurt" but still hopes Mowry will one day apologize to her daughter. "I would love for him to just look at Courtney and said, 'I'm sorry,'" Kean said. "You know, we all make mistakes [but] everyone should have to pay for the consequences of their actions. There's Uber these days. There's friends these days. There's the bus these days. There's many ways to get around if you're going to have a couple cocktails." Before announcing his decision Thursday, Joyce said DUI cases are "among the most difficult" he hears. Mowry is a longtime Chicago Police officer, military veteran and "loving family man" with no prior criminal history, Joyce said. The judge noted Mowry is "normally not part of the criminal milieu" and didn't intentionally hurt Cusentino. He did, though, Joyce said, leaving Cusentino with "life-threatening and life-lasting" injuries. Joyce called Cusentino "blameless" and noted that she was sober at the time of the crash. "She was doing what all of want to do at the end of the day," Joyce said. "She was going home." According to court testimony, Mowry could face probation or one to 12 years in prison if convicted of aggravated DUI.